From the co-author of The Guernsey Literary and Potato Peel Pie Society comes a wise, witty, and exuberant novel, perfect for fans of Lee Smith, that illuminates the power of loyalty and forgiveness, memory and truth, and the courage it takes to do what's right. Annie Barrows once again evokes the charm and eccentricity of a small town filled with extraordinary characters. Her new novel, The Truth According to Us, brings to life an inquisitive young girl, her beloved aunt, and the alluring visitor who changes the course of their destiny forever. In the summer of 1938, Layla Beck's father, a United States senator, cuts off her allowance and demands that she find employment on the Federal Writers' Project, a New Deal jobs program. Within days, Layla finds herself far from her accustomed social whirl, assigned to cover the history of the remote mill town of Macedonia, West Virginia, and destined, in her opinion, to go completely mad with boredom. But once she secures a room in the home of the unconventional Romeyn family, she is drawn into their complex world and soon discovers that the truth of the town is entangled in the thorny past of the Romeyn dynasty. At the Romeyn house, twelve-year-old Willa is desperate to learn everything in her quest to acquire her favorite virtues of ferocity and devotion--a search that leads her into a thicket of mysteries, including the questionable business that occupies her charismatic father and the reason her adored aunt Jottie remains unmarried. Layla's arrival strikes a match to the family veneer, bringing to light buried secrets that will tell a new tale about the Romeyns. As Willa peels back the layers of her family's past, and Layla delves deeper into town legend, everyone involved is transformed--and their personal histories completely rewritten. (Dial Press) Those wishing to get books signed will be asked to purchase at least one copy of the author's most recent title from Vroman's. For each purchased copy of the newest title, customers may bring up to three copies from home to be signed. This policy applies to all Vroman's Bookstore events unless otherwise noted. Save your Vroman's receipt; it will be checked when you enter the signing line. Annie Barrows - "The Truth According to Us"
Warwick's is hosting New York Times bestselling author Annie Barrows on Tuesday, June 9th at 7:30pm to present her newest novel, The Truth According to Us. Annie Barrows is the co-author of The Guernsey Literary and Potato Peel Pie Society. 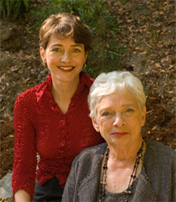 She is also the author of the bestselling children’s series Ivy and Bean. This event is free and open to the public. Reserved Seating is available. Only books purchased from Warwick's will be signed. Please call the Warwick's Book Dept. (858) 454-0347 for details. In the summer of 1938, spoiled senator’s daughter Layla Beck is suddenly cast adrift by her angry father. Forced to take a job on the Federal Writers’ Project, a New Deal program, she finds herself assigned to write a history of the small mill town of Macedonia, West Virginia. Perfectly certain that she will go mad with boredom, Layla’s expectations take a sharp turn when she meets the Romeyn family, particularly the town pariah, Felix Romeyn. Very soon Layla’s research develops a distinctively personal flavor. Meanwhile, inside the Romeyn house, twelve-year-old Willa is using her newly found virtues of ferocity and devotion to thread her way through a thicket of mysteries, including the questionable business that occupies her father and the reason her beloved aunt Jottie remains unmarried. But all roads lead—for both Layla and Willa—to a single event that changed Macedonia and the Romeyns forever. Ivy & Bean fans, it's time to join the fun with Ivy + Bean + Me: A Fill-in the-Blank Journal. If you relish every twist and turn of the dynamic duo's adventures—whether they're playing pranks on Bean's sister, writing their own newspaper, or solving neighborhood mysteries, now you can add your own adventures and ideas to the mix! Funny prompts paired with hilarious illustrations make this journal the perfect place to get creative. Annie Barrows is a hilarious and mischievous as her best-selling series, Ivy and Bean. In-demand at bookstores, conferences and festivals, she has charmed audiences large and small with endless stories about the kooky things kids do, her writing process, and her unconventional ideas about encouraging kids to read. In addition to writing the New York Times Bestselling Ivy and Bean Series, she is the author if the international bestseller, The Guernsey Literary and Potato Peel Pie Society, currently in development as a feature film. She lives in Northern California with her husband and two daughters. From best-selling Ivy and Bean author Annie Barrows comes the much-anticipated sequel to The Magic Half. Life seems to be back to normal for "newly twinned" sisters Miri and Molly until their magical house sends them on a new time-traveling adventure to the Civil War, where they must risk everything to save two unusual soldiers and come to terms with the emotional truth about Molly's past. Join New York Times bestselling author, Annie Barrows for a reading and signing of her new children's book, Magic in the Mix. In Magic in the Mix, the sequel to the beloved time-travel adventure, The Magic Half, fan-favorite character, Miri, returns with a new story. After meeting back in time in The Magic Half, Miri and Molly have landed safely in the present, resuming their “twinned” life as if Molly was always a part of the Gill family. But when some minor home repairs set off some major surprises in their very special, very magical, house on Pickering Lane, the girls find themselves whisked back in time once again—to the Civil War where they must race against the clock to save two very unusual soldiers and come to terms with Molly’s real past. Miri and Molly know that “magic is just a way of setting things right,” and it’s up to them to help fit together the pieces of history in order to get back home. Brimming with drama both big and small, a historical backdrop, and spine-tingling action, Magic in the Mix will bring fans and new readers alike to Annie Barrows’ highly acclaimed, wonderfully popular world of twin-inspired magic. Places in the signing line are reserved for those who purchase a copy of Magic in the Mix from The King's English. Ann Fiery's previous work includes the boxed collection Palmistry. She lives in Northern California, studying arcane divinatory texts and ecclesiastical history. Annie Barrows's book The Truth According to Us was available from LibraryThing Early Reviewers. Annie Barrows's book The Guernsey Literary and Potato Peel Pie Society was available from LibraryThing Early Reviewers. Annie Barrows is currently considered a "single author." If one or more works are by a distinct, homonymous authors, go ahead and split the author. Annie Barrows is composed of 5 names. You can examine and separate out names.